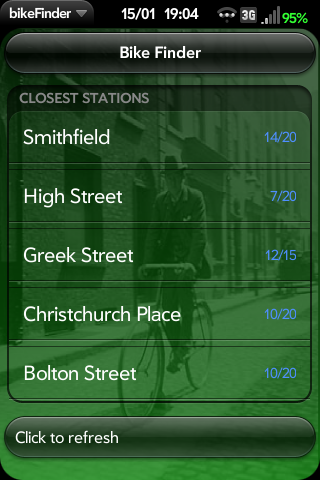 This is an application that takes your location and returns the five nearest stations in the Dublin free bikes scheme. Each is displayed along with the number of available bikes there. Clicking on a station displays directions to it. Really not much use for anyone outside Dublin Ireland, but could be really handy for about three of us.